Jurgen Klopp last night dismissed the suggestion that he could turn to the transfer market to solve the defensive crisis his squad finds itself in. With Dejan Lovren replaced by Ki-Jana Hoever early on in the game against Wolves in the FA Cup, Virgil van Dijk is now the Reds’ only fit senior central defender, but Klopp scoffed at the idea he could resolve that by buying someone in the January window. Speaking exclusively to talkSPORT, Klopp said: “The only country that asks a question like this is England. Everything is sorted with buying players. “We have four centre-halves. Three, maybe, two-and-a-half are injured so we’ll have to try and come through in the moment. The point he makes is a good one, but if the club can sign someone else as cover – even on a short-term deal – that could prove very useful between now and the end of the season. 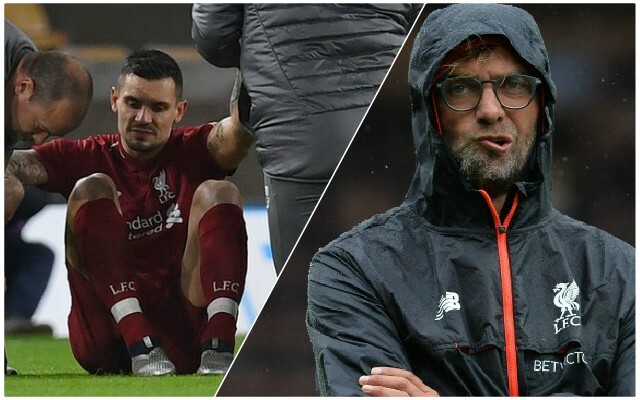 The fact that he said ‘two-and-a-half’ are injured suggests that either Joe Gomez or Joel Matip are close to returning, or Lovren’s injury is not serious, which is one positive. Another defensive crisis between now and May, though, absolutely must be avoided as something that could derail the title push, so not signing anyone is a slight risk, not least given the injury records of the three who are currently sidelined.